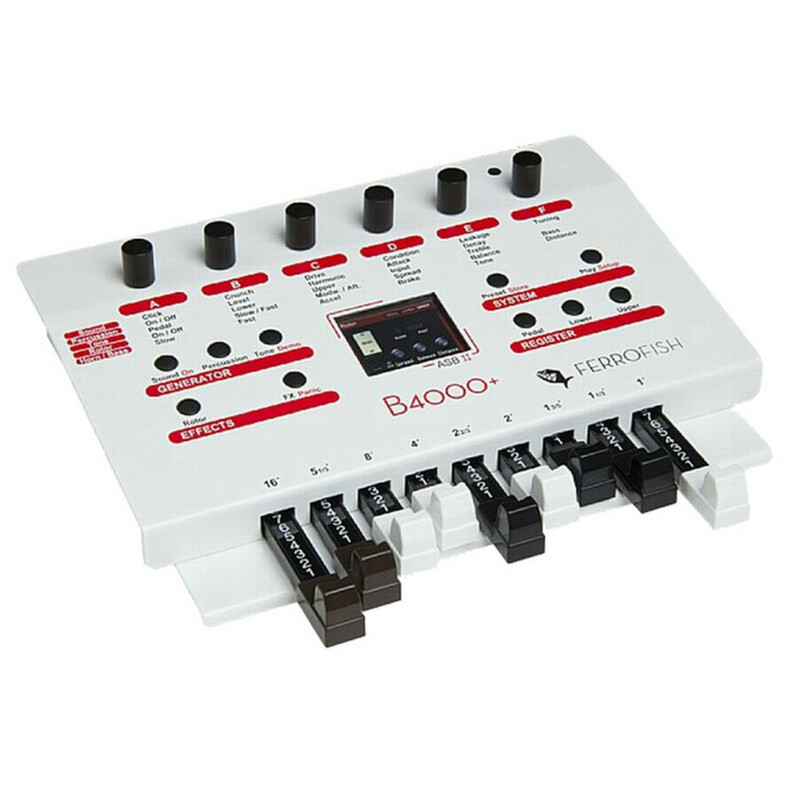 The Ferrofish B4000+ has been designed to fit in the live rig or studio of any musician. Its small size not only means it takes up less space in the studio, but is also ultra-portable. 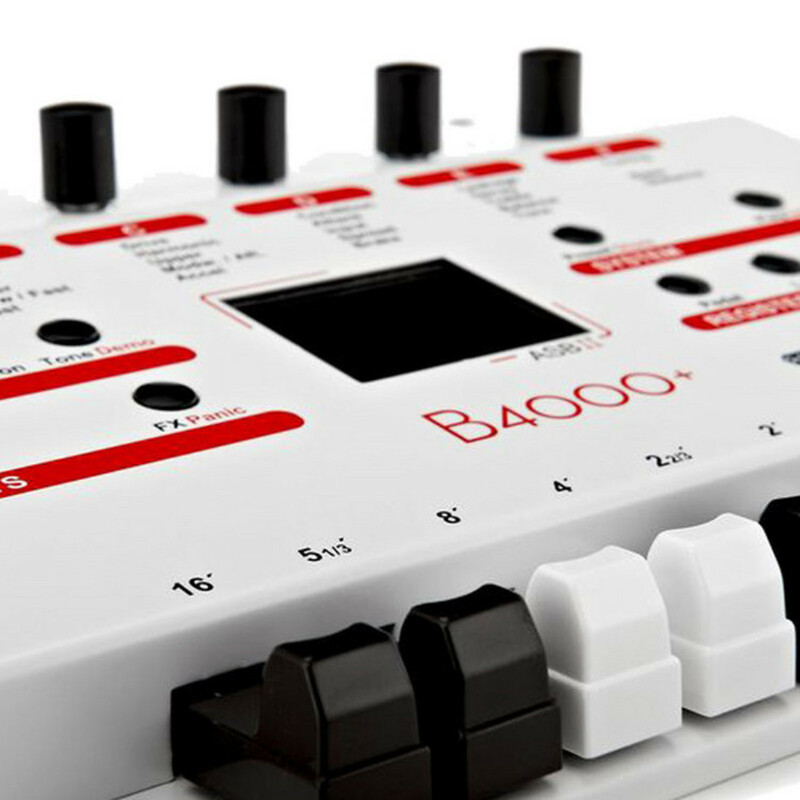 The B4000+ is an expender and for that reason it doesn't have a keyboard. On the back Panel it features MIDI in, out and USB to Host. The layout is very simple and easy to navigate, plus it also has 9 authentic drawbars that give you direct access. The small box features 250 voices, 100 upper, 100 lower and 50 bass-pedal. If all that wasn't enough it also features FXs like amp simulation, vibrato, reverb and the legendary Leslie.